Are you playing the game without knowing what the prize is? Northern Planner posted today about work-life conflict. Can you be brilliant and awesome at something work-related while still having an actual life outside work? As he reasons in his post, ‘you can’t do interesting work if you don’t do interesting things’ (which to me is the whole point of the Interesting Un-Conferences). A high profile in the marketing world seems to require working in the right city, drinking with the right people, speaking at the right conferences, changing jobs every couple of years and being active online – and that’s time consuming. Even a high profile within your own company might require you to drop everything and relocate to Nowheresville for two months, or to work all weekend prepping for a big meeting. Some people chose not to play that game and to just get on with doing the best job they can in the chunk of 9to5 time they have allocated to it. They might not climb the corporate ladder quite as fast but their reward is time to do other stuff. I suppose it’s a question of motives. If you’re working all the hours because, say, you want to get a promotion that will provide better for your family, then I can understand prioritising work first. Or if you have such a fab job that work feels like playtime anyway, then go for it. 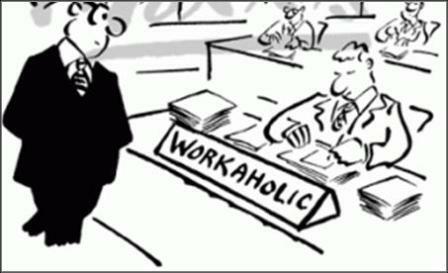 But for everyone else, I wonder what the end prize for all this workaholism is? If you ARE playing the star pupil game at work (i.e. high profile, stupid hours, stress-central) without knowing what the end prize actually is, perhaps its time for a rethink? Next Post Johnnie Boden – are you being unfaithful? Read Linchpin by Seth Godin. It will show you the way.